In a brutal low scoring season of tipping the Uglybustards Board is proud to announce that the 2017 Uglybustards Premiership Title has been taken out by Griggsy who claims his 2nd Cup since entering the expanded Uglybustards Tipping competition in 2011. With two Premierships under his belt in just 7 years the controversial move by Uglybustards to allow ex-umpires from Tasmania into the competition has certainly paid off. Maybe the AFL will sit up and take notice. As the winner, Griggsy takes home $183 and his first Uglybustards guernsey. 1st Runner-up Funnybustard won $91.50 with his form kicking in during the finals series, picking up 10 places from 12th to finish full of running. 2nd runner-up Travinport [editor's note 26/4/2018; 3rd place was in fact PETELEWIS. Travinport finished 5th, and won the Quokka Cup for best placed on the Standard ladder who didn't place on the Joker Ladder] won $30.50 in his debut season, a spectacular effort and one in which the tyro can be very proud of. Both runners-up have a choice of Uglybustards Merchandise. 2017 Premiership Titleholder Griggsy may have to be patient for the hand-crafted Uglybustards guernsey to arrive, as last year's winner The Remonstrator will attest to. Only the finest quality cotton from China is hand picked by specialists and selected through a rigorous assurance control program, to then be provided by rickshaw cart over thousands of miles of rugged terrain to the most skilled Chinese sewers, themselves selected through a genetics DNA program, to hand stitch every sinew and seam of this most highly coveted boutique jumper that only three people on planet Earth possess. So far those well-deserved uglybustards are Sam Griggs, Flopalot and The Remonstrator. By taking out the 2017 Premiership Cup, Griggsy joins a number of Uglybustards who have now won the title twice since the league's inception in 2000. Those dual winners are of course Griggsy himself, then Sam Griggs, denlash and the inaugural winnner Arnold Layne. The big question is who will be the first to 5 titles and when will life membership be awarded to multiple champions? The Uglybustards Board has this under consideration. In many football boards there is a lot of division and conflict. The Uglybustards Board members however disdain such practices and are decisive in their decision making. Basically the many distinguished members of the Board who wish to remain anonymous don't have a clue and will respond to your feedback. 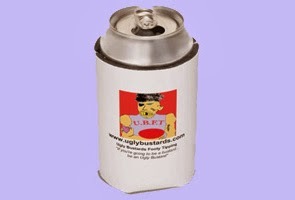 Comment on this post or email uglybustard@uglybustards.com. The newly named Quokka Cup for the standard season (posthumously renamed after 2009 winner Quokka) was also taken out by Griggsy [editors note 26/4/2018; another stuff up by Uglybustrd, Travinport won this] demonstrating the justice in his come-from-behind victory for the major title. He edged out Travinport by a point, the telling factor the prelims week where Trav failed to trouble the scorer. 3rd was Olles Jacyna only another point behind. 2007 winner The Boot, son of Quokka, has made available a special prize in remembrance of his father for this inaugural occasion. The Margin comp was a beauty with Sam Griggs relaxing when 6 goals out in front only to have BecCG reel him in with a scintillating Grand Final performance. Bec picked up from 5th to win by 2 goals over Sam, with the Tilt Rod Carter another 2 goals back in 3rd place. BecCG wins her choice of Uglybustards Merchandise. The weekly prize winners for the season were headed by Sam Griggs who dominated with an 18 week scoop of $90 out of the available $135. Next best was the Central Coast representative and diehard Carlton supporter BUDGEWOISFINEST who picked the prelims to perfection for $25. The Tilt Rod Carter paid half his entry fee with a $10 win in round two, while the remaining $5 wins went to PETELEWIS in round 21 and yours truly Ugly Bustard in the GF yes I fluked it. Thanks again to all those who participated in 2017, have a safe Mad Monday although youve probably had plenty all season I know I have and we'll see you fresh and revived for another exciting season of Ugly Bustards Footy Tipping (UBFT tm) in 2018!! !